Dr Deborah O’Neil, Chief Executive and Scientific Officer at NovaBiotics, discusses the WHO-recognised threat of ‘super gonorrhoea’ and the antimicrobial resistance (AMR) that saw it rise to prominence. In July, the World Health Organisation (WHO) announced data which confirmed gonorrhoea bacterial infections have developed resistance to antibiotic therapy at such an alarming rate that in some cases, no treatment is effective. As a result, the development of novel antimicrobials for treatment of gonorrhoea is now one of the highest priorities for the WHO and the Centers for Disease Control and Prevention (CDC). [Neisseria gonorrhoea], the causative pathogen of gonorrhoea infections, is a particularly ‘clever’ pathogen. It is easily transmitted from person to person socially and is exceptionally effective at developing and retaining acquired resistance strategies to previously and currently prescribed antibiotics. The convergence of these two elements is the reason why gonorrhoea is causing significant concern among health professionals, and the WHO and CDC are rightly calling for urgent action to try and address the issue before the bacteria becomes resistant to the last line of defence drugs. The WHO has found that the infection has evolved to now have widespread resistance to a first-line antibiotic ciprofloxacin, and is currently becoming increasingly resistant to azithromycin. In some countries, research has revealed the emergence of resistance to extended-spectrum cephalosporins, the current last-resort treatment. There is a relatively empty R&D pipeline for antibiotic treatments of gonorrhoea. Currently, there are only three drug candidates in various stages of clinical development. Solithromycin, for which a Phase 3 trial has recently been completed; zoliflodacin, which has completed a Phase 2 trial; and gepotidacin, which has also completed a Phase 2 trial. However, these three drugs are not new antibiotic classes; they are novel variants of existing classes, so eventual acquired resistance to these are inevitable. Two of the drug candidates are also primarily being developed to treat other infections meaning gonorrhoea isn’t the focal target. There are very few truly multidrug resistant bacteria – bugs which are resistant to four or more separate classes of antibiotics – which have developed broad antibiotic resistance at comparable rates to gonorrhoea. However, gonorrhoea is just one of a number of infections which have developed resistance to antibiotics. In February, WHO released a revised list of priority pathogens for R&D of new antibiotics in a bid to urgently attempt to address the growing number of deaths being recorded all over the world as infections continue to creep upwards. The significance of AMR was catapulted into the spotlight in 2016, with all 193 UN member states signing an agreement to combat the proliferation of antibiotic resistance, in addition to the publication of the O’Neill report. With more than 700,000 deaths a year currently caused by AMR, the report predicts that, if no solution is found, 10 million people every year would die by 2050 as a result of AMR – more than the total number of deaths from cancer predicted for the same year. As O’Neill quite rightly notes, the impact of such a catastrophic loss of life isn’t just the concern of the medical community, with a potential economic cost of up to $100 trillion. The challenges presented by bacterial and fungal infectious disease are enormous. Cases of resistance to previously effective, essential antibacterial and antifungal treatments – even multi drug resistance – continue to increase. The need for solutions to the AMR crisis is an urgent global public health priority. Anti-infective medications such as antibiotics have not recently been prioritised in the R&D activities of pharma for a number of reasons. Many used in hospital settings are now generic and for community-acquired infections; most first line therapies are taken, previously with successful outcomes, only for short periods of time. 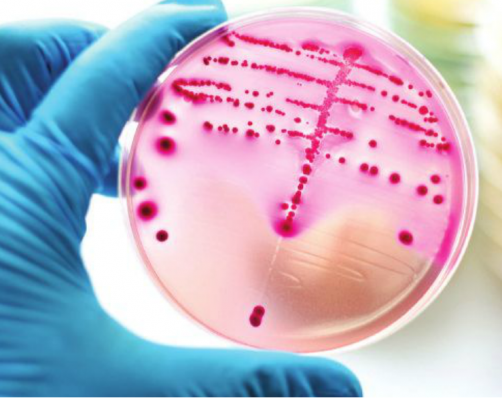 Resistance to ‘over used’ antibiotics combined with a largely ‘dry’ pharma pipeline has resulted in the current, acute need for continuous new candidate options. Recent innovations, particularly from smaller companies and academic groups, have bought to light more interesting, alternative antimicrobial approaches with the aim of solving the problem of resistance both now, as they act against drug-resistant strains, and in future, as they possess mechanisms of action that mitigate chances of acquired resistance developing. Smaller businesses are now in a position where they are leading the global fight against antimicrobial resistance. These solutions generally are either ultra-narrow spectrum approaches against pinpointed targets in a restricted range of pathogens or broad spectrum approaches based on elements of the immune system. Potentiators and adjuncts that can be used alongside, and to reinvigorate, our existing antibiotic armory are also in the spotlight again. NovaBiotics is part of this exciting movement and we have gone back to the drawing board to develop a new approach to drug design to combat AMR by leveraging the body’s innate immune system defence mechanisms, fighting infection from the hosts’ side. Gonorrhoea is amongst the multi-drug resistant pathogens which drug candidates developed from both of our platforms tackle. Novarifyn, a novel peptide derived from our AMP platform is potently active against multi drug resistant gonorrhoea in laboratory tests. It acts much more rapidly against the bacteria versus current ‘gold standard’ therapy and does so in a way that kills the pathogens, not merely inhibits their growth. Nylexa, an adjunct therapy (‘potentiator’) is intended to be used alongside existing antibiotics to ‘reactive’ them where they have become or are becoming clinically redundant because of resistance. In our laboratory tests, Nylexa has reversed resistance in certain clinical isolates of multi-drug resistant gonorrhoea. Potentiators such as Nylexa are attractive because they have the potential for a faster route to the clinic over the development of brand new antibiotics from first principle. This antibiotic ‘booster’ could create a much-needed novel antimicrobial solution to drug resistant gonorrhoea and other AMR infections that can potentially be delivered from the lab to clinical use in a much shorter space of time. Novarifyn and Nylexa are based on the body’s own immune system which has co-evolved with bacteria and therefore ‘learned’ to kill them in such a way that resistance is highly unlikely. Unless we urgently look at the R&D pipeline for novel antimicrobial solutions, particularly for drug resistant and multi-drug resistant infections, we will find ourselves in a position, as predicted in the O’Neill report, whereby millions of people will die from infections which are currently seen as treatable. The reality is that the list of multi drug-resistant bacteria is only set to continue to grow. However, innovative new approaches are being developed to try and tackle AMR, and from these we foresee the solutions to what is arguably the biggest global public health issue we are facing.